A comfort food classic! 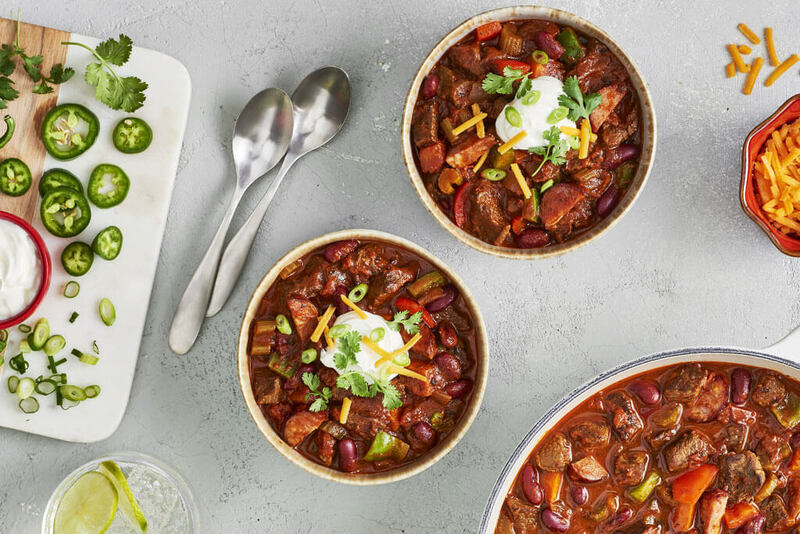 This chili recipe uses a low sodium broth, making it a better choice for your family. In large nonstick saucepan,heat oil over medium-high heat; cook beef for 6 to 8 minutes or until browned all over. Pour off any fat and discard. Reduce heat to medium; stir in onion,green and red peppers,celery,carrot,chili powder,oregano,cumin,salt and pepper. Cook,stirring often,for 7 to 10 minutes or until vegetables are tender-crisp. Stir in tomato paste; cook,stirring constantly,for 2 to 3 minutes or until dark red colour. Pour in broth, diced tomatoes, and red kidney beans; bring to boil. 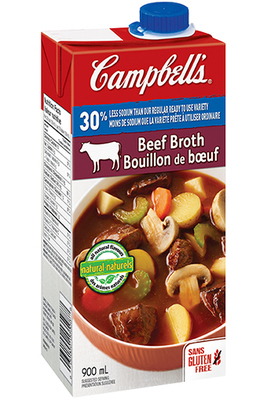 Reduce heat and simmer, uncovered, for 1 hour or until beef is tender and sauce is thickened. Garnish with cilantro. Add chorizo sausage with the beef for a spicy kick if desired. Serve with sour cream, shredded cheddar cheese, green onion, jalapeno pepper, garlic cloves, black beans, hot sauce or any of your familys favourite chili fixings. Additionally, this easy chili recipe can be prepared using ground beef. This chili recipe can also be prepared in a slow cooker.